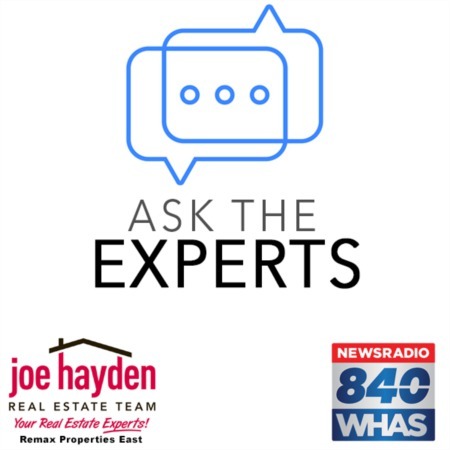 Five Key Items to Have Ready For Your Louisville Home Inspection | Joe Hayden Real Estate Team - Your Real Estate Experts! Going through a home inspection can be quite tricky because you never really know what the inspector will be looking for when he arrives. However, the next time you are subject to a home inspection in the city of Louisville, be mindful of various items that you should prepare in advance of said inspection. Having these things ready will just make the entire inspection go much more smoothly from beginning to end! Here are the five key items to have ready for your Louisville home inspection. Light fixtures are so important in the home. Not only do they give off comforting light at night, but they can also add a nice, decorative touch to the home. Poorly functioning light fixtures, though, can be a potential fire hazard. Lights that don’t work properly could mean visitors trip in the darkness, which is a potential liability issue. When the home inspector comes, you should make sure that all of the light fixtures in your home are working properly. This includes both the exterior and the interior light fixtures! The home inspector will be very curious to see how your smoke detectors in the home are functioning. As such, it's highly prudent to make sure that they are in good and working order before you invite the inspector into your home. There should be at least one smoke detector on every floor of your entire house. An inspector will disapprove of a floor with no smoke detector. So many people take their windows for granted--after all, they're always there. However, when a home inspector comes by, he will want to see windows that are in good working order on each and every floor. This means that he will expect all of your windows to open and shut very easily and smoothly. Make sure that no windows are painted shut or just stuck! This is another big thing that many homeowners just don't think of when a home inspector comes knocking. However, you'll want to preemptively install a brand new furnace filter, because the inspector will examine it during his evaluation. It will be considered a part of the overall state of the furnace or the heat pump, so it's in your best interest that it is in working order. Have your doors ready for inspection by making sure that all of your doorknobs have been nicely tightened. If there are any handrails, make sure that they are tight, too, and be certain that all of your interior doors effectively latch on to the strike plate. These are the five key items that you should have ready for your next Louisville home inspection. If you have all of these five key items in good, working order when the home inspector comes knocking, then you can be relatively sure that pass with flying colors. Too many people forget the most basic things when a home inspection occurs, which can lead to bad outcomes. That's why it's so important to keep these tips in mind.